I have recently been overcome with the desire to read children’s fiction from my past. When I was growing up in the ’80s and ’90s the selection of YA wasn’t nearly as grand as it is today, but I still managed to find some great books that have stuck with me over the years. 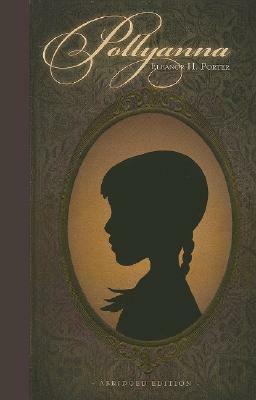 This weekend I read Pollyanna by Eleanor H. Porter. I can’t recall where I first encountered this book, but I remember reading it a number of times as a kid. Oddly enough, I barely remembered anything from it, and so rereading it as an adult was at once nostalgic and enlightening. I can guarantee that as a kid I didn’t take the lessons of the book to heart. I don’t recall ever once thinking as in-depth about “the glad game” as I have in the past few days. For those who haven’t read this book, “the glad game” is a thought exercise that Pollyanna and her father begin playing when, instead of getting a doll, they end up getting crutches in their shipment of donated goods. Her father came up with the game to help her deal with the disappointment, telling her that she could be glad that she didn’t need the crutches. Most kids these days would probably flip off their parents and scream bloody murder for the doll anyway, but this is literature! Pollyanna took it in stride and so begins the defining theme of the book. As someone who is often disappointed in the way the world works (especially when it is so contrary to what books have always taught me), this type of game appeals to me. There are many books out there that try to teach the same principles (The Secret and The Happiness Project are the first two that come to mind) but I think that this simple children’s book has captured the idea in a far more compelling and accessible manner. Instead of telling you how beneficial positive thinking can be, it is shown through the simple actions of a little girl. It is also far more engaging to think of it as a game, sharing it with others so you can try to out-do each other when trying to come up with reasons to be glad during difficult situations. So what am I unhappy with today that could use a little positive thinking? Well, I’m not thrilled that it’s beautiful outside and yet I’m stuck indoors for work, but I can be glad that my boss is letting me work with my new friend, Kate, on our Budget Bellies project in the kitchen here. So what’s bugging you today? And what can you be glad of instead? I apologize for only responding to this now. My settings were filtering out a bunch of comments and I only just saw yours now! Thank you SO much for your comment. I am so glad that people are enjoying my blog as much as I am enjoying writing it. I apologize for only just seeing this now! Apparently my settings were blocking a lot of comments without me knowing it. Anyway, thank you so much for the kind words!